In ACL reconstruction or repair, an orthopedic surgeon restores the function of the normal anterior cruciate (KROO-she-ate) ligament of the knee. This ligament is important in stabilizing the knee in athletics and day-to-day activities. The term ACL is an acronym for the anterior cruciate ligament, and easier to pronounce. Anterior (front) view of arthritic adult knee from below hip to lower leg showing the bones of leg ghosted within the skin including the femur, patella, tibia and fibula. Osteophytes (bumps) and torn articular surfaces and indicative of osteoarthritis of the knee. Ligaments are strong bands of tissue that connect one bone to another. The ACL, one of two ligaments that cross in the middle of the knee, connects the thighbone (femur) to the shinbone (tibia) and helps stabilize the knee joint. ACL injury most commonly occurs during sports that involve sudden stops and changes in direction — such as basketball, soccer, football and volleyball. 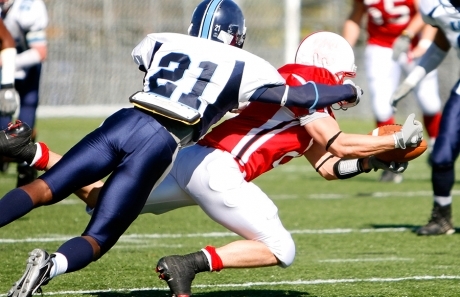 ACL injuries typically occur in non-contact events on the sporting field. They can also be the result of workplace injuries and traumas such as motor vehicle accidents. In the past, a torn ACL would mean the end of high level athletic activity for a prolonged period of time and possibly permanently. Today’s minimally invasive arthroscopic reconstruction followed by aggressive rehabilitation can restore the knee’s stability and function. Not everyone who tears an ACL requires reconstruction. Sedentary people who forgo sports that involve a lot of quick stops and changes in direction usually recover well with conservative treatments and physical therapy. Bracing is also an option. ACL reconstruction is performed on an outpatient basis under anesthesia. The ACL is replaced with a piece of tendon from another part of the leg or from a tissue bank. Orthopedic surgeons use an arthroscope, a small fiber-optic viewing instrument made up of a tiny lens, a light source and video camera, to perform ACL repair. The orthopedic surgeon creates a tiny 5mm puncture in the joint space of the knee – about 1/4 of an inch – called a portal. Additional small punctures are made for the insertion of surgical instruments. These punctures result in tiny scars, which become unnoticeable, providing direct access to most areas of the knee joint. The orthopedic surgeon views the procedure on a large screen monitor as the graft is positioned and then secured with screws or other fixation devices. In an acute injury, surgery is usually delayed until muscle strength and knee mobility has been improved with physical therapy. 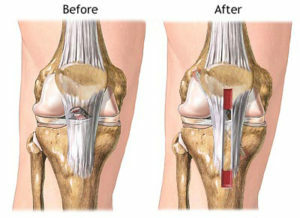 People who go into surgery with a stiff, swollen knee often have problems regaining full range of motion after surgery. Rest. Use crutches to avoid weight bearing on the knee. Ice. Applying ice for 20 minutes every two hours when awake will help reduce swelling and ease pain. Compression. An elastic bandage or compression wrap keeps the knee immobile and supported. Elevate. Elevating the leg to heart level reduces swelling and pain. The orthopedic surgeon will also prescribe medication to help manage pain. Physical therapy strengthens the muscles around the knee and improves flexibility. Most patients can expect a return to full function within 6 to 9 months. Athletes can often return to their sports after 6 to 12 months. To ensure the best possible outcome, it is important to choose a surgeon experienced performing minimally invasive ACL repair. Good communications between patient and surgeon is critical. You should be comfortable asking your doctor questions, sharing your concerns, and feel that your surgeon takes the time to respond fully and completely. Together, you and your orthopedic surgeon can create the best plan of care to help return you to normal activities as soon as possible following ACL repair. Orthopedic surgeons use an arthroscope, a small fiber-optic viewing instrument made up of a tiny lens, a light source and video camera, to perform arthroscopy. An orthopedic surgeon inserts the arthroscope into the joint through a tiny 5mm puncture – about 1/4 of an inch – called a portal. Two or three very small punctures may be made for the insertion of surgical instruments. These punctures result in very small scars, which in most cases become unnoticeable, providing direct access to most areas of the joint, which the surgeon can view on a large screen monitor during the procedure. As an orthopedic surgeon who has performed over 2,000 arthroscopic procedures, I have personally seen how arthroscopy has evolved and revolutionized the treatment of joint injuries. Arthroscopy enables skilled orthopedic surgeons to examine, diagnose and treat even complex joint injuries and conditions and quickly return patients to their normal routines. In the past, treatment may have involved extensive surgery, including large incisions, a hospital stay, a prolonged recovery and risk of post-surgical infection and complications. With today’s high-technology arthroscopic surgery, patients experience less pain and quicker recovery, returning home on the same day as their procedure. Risk of infection and complications are minimal. Hip arthroscopy has emerged as a specialty in the last five or six years as an alternative to more invasive hip replacement surgeries. Hip arthroscopy is much less common than knee or shoulder arthroscopy and can help to relieve the pain that results from injury or chronic conditions of the soft tissue surrounding the hip joint. While less invasive than conventional surgeries, outpatient hip arthroscopy is still technically challenging. As one of the few orthopedic surgeons in Monmouth County who regularly performs hip arthroscopy, this procedure offers pain relief to patients who would have required more extensive procedures in the past. Hip arthroscopy has been a part of my practice for the past five years. All patients should choose an orthopedic surgeon who takes the time to get to know them and fully answers all questions. Initial patient contact should include an orthopedic evaluation consisting of a medical history; a physical examination to assess range of motion, stability, strength and alignment; X-rays to determine the extent of damage and occasionally blood tests, and an MRI or bone scan as needed. After evaluation and diagnosis, treatment options are discussed. Your orthopedic surgeon should take the time to explain each treatment option so you can make an informed decision. As you go along the age spectrum, a younger active person may have a soft tissue or ligament injury repaired arthroscopically, and an older person may receive hip arthroscopy. Either way, both patients can be back to their normal routines very quickly. Thanks to arthroscopic procedures and a supportive care environment, most joint injuries and conditions are not the setbacks they once might have been. It gives me personal and professional satisfaction to have returned thousands of patients to active lifestyles thanks to high quality, personalized care and innovative treatment. Dr. Marshall Allegra has a private practice in Hazlet and has affiliations with Riverview Medical Center, Bayshore Community Hospital, Shrewsbury Surgical Center, and Metropolitan Surgical Institute. Dr.Allegra has been in continuous private practice in Monmouth County since 1988. His education and training includes Undergraduate Education at Bucknell University, Medical UAG/RWJ at Jersey Shore Medical Center and Surgical and Orthopaedic training at UMDNJ Newark.Dr.Allegra is a Fellow,American Academy of Orthopaedic Surgeons and a Diplomate on the American Board of Orthopaedic Surgeons. Dr. Allegra, being in practice for over 20 years youmay have seen many cases where a patient is a candidate for either arthroscopic or joint replacement surgery. Can you tell our readers what criteria dictate one or the other? Surgical treatment of arthritic joints has evolved over the 23 years I have practiced in Monmouth County. The emergence of arthroscopy in the late 1970s offered hope for less invasive care of joint pain. Orthopedic surgeons later realized that arthroscopy had limited use in the treatment of severe arthritis, and with the improvement of joint replacements, arthroscopy was relegated to a secondary role in these cases. Arthroscopy is best suited for younger, active patients with limited arthritic involvement of joints. The goal in arthroscopy in these patients is to delay eventual joint replacement surgery. 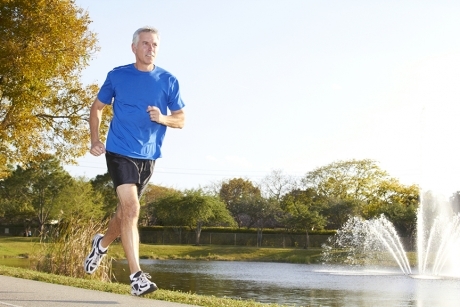 Total joint replacements are best suited for those patients over 60 years of age who are not obese. These are not intended for extremely active patients, like runners, as such activity will increase the rate of wear of the implants. While these guidelines are not absolute criteria, we have witnessed an increase in patients that are heavier, younger, and more active that require joint replacements. Older patients have become more active as well, and life expectancy has been extended. Newer techniques, including minimally invasive replacements, limited joint replacement (less than total joint replacements) and arthroscopy-assisted joint replacements are emerging. These techniques are used with greater frequency today. On a similar note, when is a partial joint replacement (minimally invasive) procedure appropriate? In general, partial joint replacement refers mainly to the knee, which is divided into three compartments. Patients will often present with one or two of the three compartments affected. The procedure replaces only the diseased areas of the joint, leaving the healthy joint spaces and ligaments intact. The advantage is that recovery is quicker and usually more activity is allowed for the patient. Typically, it is offered to the younger (less than 65), more active patient with limited arthritis. It can also be performed in an outpatient setting, utilizing regional anesthesia, and allowing for a same day return to home. Can you also comment on the differing surgery’s recovery period and what a potential candidate would need to be aware of for the respective surgeries? Total Joint replacements of the hip and knee typically require a hospital stay of 2 to 4 days, with most patients spending some time in a rehabilitation facility, usually 3 to 7 days after discharge from the hospital. Partial knee replacement and total shoulder joint replacement are typically performed in an outpatient surgical center setting or as an overnight stay in a hospital. Total joint replacement patients require longer periods of recovery before returning to work, usually (but not always) 2 to 3months,whereas partial joint replacement patients recover in about one half that time. For the procedures that you personally specialize in, can you comment on the mobility after and the length of time these surgeries can provide a normal lifestyle? In general, the total joint replacement offers predictable, lasting relief of painful, arthritic joints. The typical patient treated this way can expect pain relief and the ability to walk without a cane or crutches within the first 3 to 4weeks, and will experience continued improvement up to 12 to 18 months post operatively. Patients often report that the joint has a more natural feel 1 to 2 years post operatively. Good to excellent outcomes are in the 95% range. The typical modern hip and knee replacement can be expected to last 20 to 25 years within a 95% probability. These are best suited for an older population, but at times the indication for surgery is extended to much younger patients. Mobility is usually excellent, but this should not lead people to believe they can place unreasonable demands on the implants, such as distance running. Partial joint replacement offers less invasive surgery, more rapid recovery and generally more mobility. These procedures should be viewed as a stop-gap measure in many younger, more active patients who will eventually require revision to total joint replacements when they are older. The use of smaller incisions in hip and knee replacement surgery has resulted in less blood loss and faster recovery. The typical hip replacement in my practice can be performed through a 4 to 5 inch incision. Partial replacements of the knee use even smaller incisions. Getting Back to Your Best with Minimally Invasive Surgery. Today we are living longer and fully expect to enjoy a long and active life. Minimally invasive orthopedic surgery is helping to keep us in the game of life, restoring function and range of motion in older athletes, relieving pain for individuals with arthritis or work-related conditions such as carpal tunnel syndrome, and helping anyone recovering from a traumatic accident or injury get back on their feet. “Orthopedic technology advances in minimally invasive techniques, specialized tools and advanced imaging are helping to reduce and eliminate pain and restore functionality and range of motion to key areas of the body such as hips, knees, hands and shoulder joints,” says Dr. Marshall P. Allegra, M.D., an orthopedic specialist in Hazlet, New Jersey. In an arthroscopic examination, an orthopedic surgeon makes a small incision in the patient’s skin and then inserts a pencil-sized instrument that contains a small lens and lighting system to magnify and illuminate the structures inside the joint. This enables the surgeon to visualize, diagnose and treat problems inside the joint. Excellent outcomes are being achieved thanks to a full continuum of care supporting same day surgery patients. “Patients may receive a continuous pain block that lasts for two or three days after surgery, home care is available for patients who require it, and physical therapy begins almost immediately,” says Dr. Allegra. Dr. Marshall P. Allegra, M.D. Dr. Marshall P. Allegra is a board-certified orthopedic surgeon in private practice in Monmouth County for over 23 years. Specializing in minimally invasive arthroscopic surgery, full and partial joint reconstruction, hand, foot and ankle surgery, fracture care, and non-surgical treatment options. 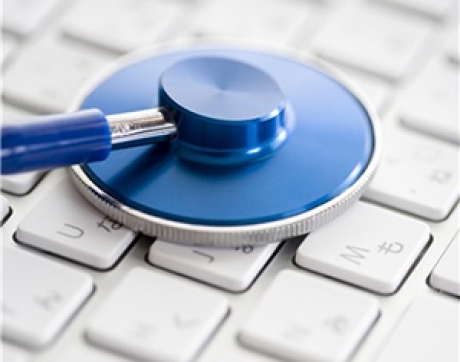 Dr. Allegra is dedicated to providing one-on-one personalized care to every patient. An experienced diagnostician, Dr. Allegra can expertly determine the causes of chronic and acute pain in his patients due to hip, knee, hand, shoulder and sports-induced injuries, and then determine the best treatment options to return patients back to work, to the playing field, restoring functionality and range of motion as quickly as possible. Dr. Allegra has performed more than 500 hip and knee replacements on patients from Monmouth County and surrounding areas. Thousands of Dr. Allegra’s patients have returned to active lifestyles thanks to his quality, personalized care and innovative treatment options.